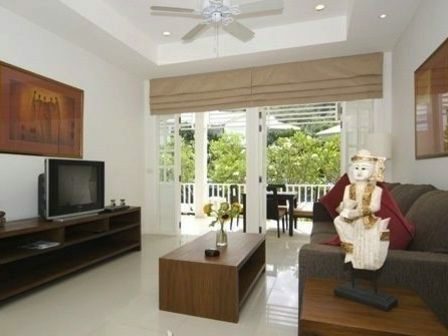 Situated on the ground floor of a tranquil development in Layan, this beautiful one-bedroom apartment is surrounded by lush tropical gardens and overlooks the shared swimming pool. 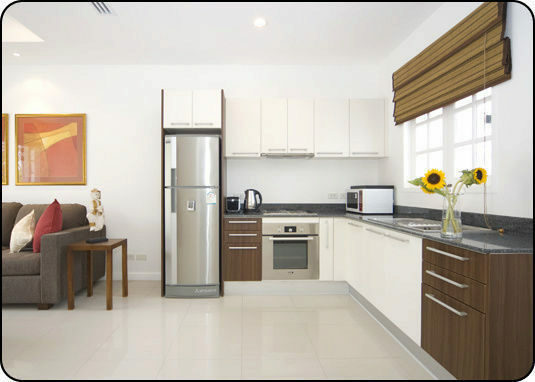 The apartment has 1 bedroom, spacious open-plan living and dining area, fully equipped European-style kitchen and a bathroom with shower covering 76 sq.m. 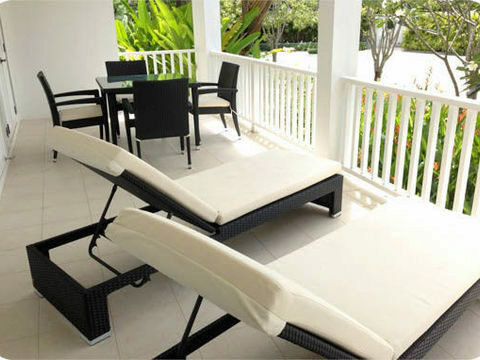 The bedroom has a direct access to the ample terrace where an outdoor dining table for 4 and sun loungers are in place. 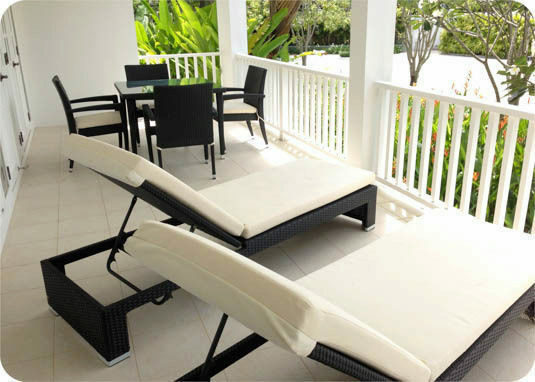 Enjoy the rhythm of the cool wind through groves of tropical trees on the shady veranda with clear views of the communal pool and spring-fed lake beyond. 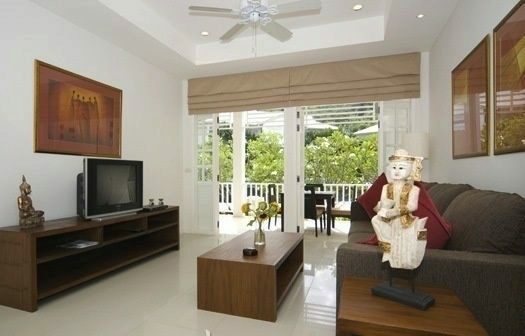 The large open-plan kitchen/ dining/ living area is also a couple of footsteps away and can be accessed through tall plantation style doors. 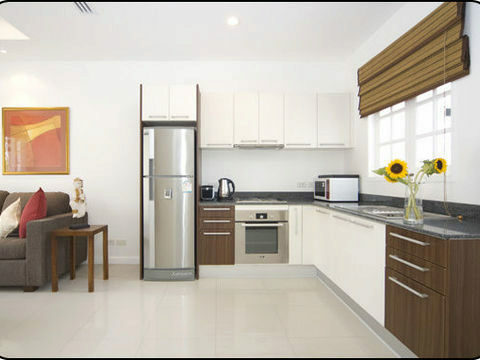 Facilities include Satellite TV, TV in the bedroom and CD/DVD player. 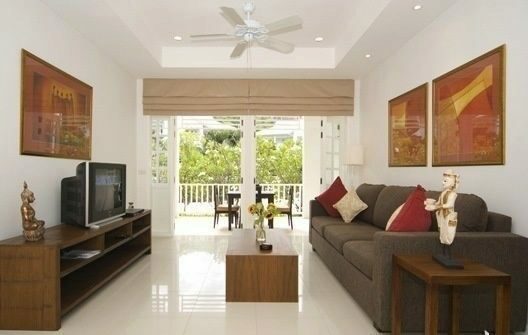 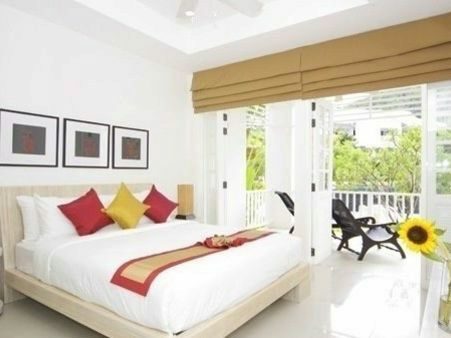 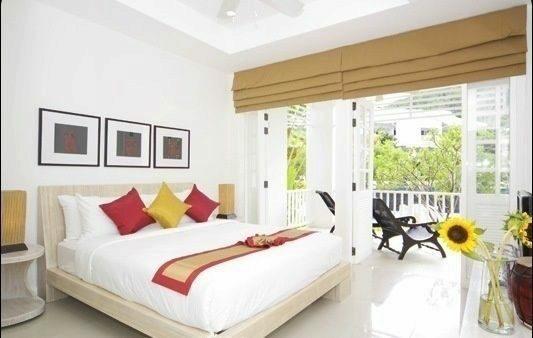 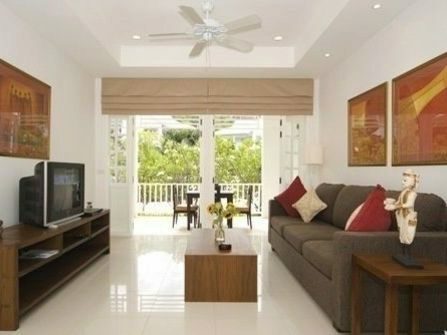 The highlight of this apartment is the unspoiled white sand Layan beach which is just a 6-minute walk away and various international restaurants and shops can be also found at the main entrance of the Laguna Phuket with a just 5 minute drive.